The other day, I used Sally’s Baking Addiction’s wonderfully delicious Pumpkin Chocolate Chip Oatmeal Cookies, and as per usual, they did not disappoint. Even my mom, who is a pumpkin hater, enjoyed one. The only problem with making something that calls for pumpkin puree is that if it doesn’t call for the entire can, and you’re dangerously close to grocery shopping day and therefore without foil to cover it, it gets gross after a couple days. So after looking up pumpkin muffins and realizing I didn’t have cream cheese (again, dangerously close) and realizing I didn’t have a doughnut pan for pumpkin doughnuts or buttermilk for pumpkin doughnut muffins, I landed on a recipe I’ve used before and loved – Pumpkin Spice Coffee Cake from Joyful Healthy Eats. Her photos and step-by-step directions make it easy to follow early in the morning and before coffee. You can click on the photo I posted above or here for the full recipe. The only change I made is that I didn’t have pecans and I was feeling adventurous, so I used the little remainder of walnuts I had and filled the rest of the cup with pumpkin granola. I was a little nervous about how the substitution would turn out, but I really like it! One little square filled me up enough but didn’t make me feel too full and it had just enough spice to not overwhelm people who may not enjoy pumpkin as much as I/you do. This is actually the only pumpkin recipe I can get the majority of my family to eat, especially after the pumpkin explosion that happened last year. My rendition. Looks a little sloppier but tastes gooood! What are you baking? Is it a recipe shared from your family, something you created or something you found in a cookbook/blog? Share in the comments and connect with me on Facebook, Twitter, Instagram, Google + and Pinterest! It’s official. I’m over the halfway mark! And we’re having a boy! Of course I would be happy with two spoiled princesses, but I was very happy to learn that we are having a boy. I tend to swoon over baby clothes and room decor that is typically labeled as “boys” than “girls,” and we’re doing an eclectic room for him that leans toward vintage hot rod, an ode to his father. His room is still full of my table, craft supplies, halfway finished projects and everything I need for school. I think we’ll start getting serious about decorating his room in November, when all of our house painting is done and my stuff has all been moved into the back house. 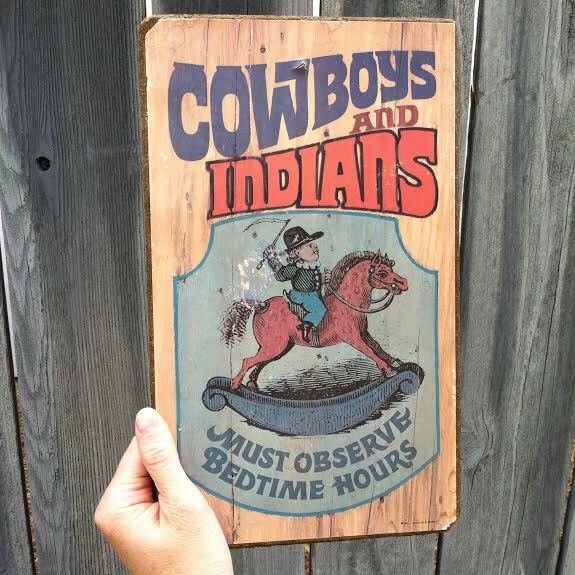 So, I haven’t bought much for his room, but I did find this adorable sign at an estate sale! I, of course, already have a Pinterest board going and I’m excited to share some inspiration on the blog tomorrow! For now, I’m just enjoying feeling him kick and move all around. He’s much more active than Cecilia was, and my body aches a lot more than it did with her, but I am not as anxious as I was the first go’round, and I have not caught myself reading any baby books or visiting webMD. I think that comes with the experience and comfort of knowing we survived this just a couple years ago. Right now, the only thing my body doesn’t like is beef (which I’m not concerned about, since I’m not a big fan in the first place) but it does like all things sweet! I got this german chocolate bar from Sweet Simone’s Baked Goods at the Sacramento Antique Faire yesterday, and I carried it all around with me yesterday until I got home and could enjoy it with some ice cream. I still have half saved for tonight’s treat. Because I fear going a night without chocolate. Cecilia does not quite understand that she’s going to be a big sister, but she adores little babies. We’ll just have to see how she reacts to one that doesn’t leave. She has been moved to a toddler bed, as my belly was making it hard to pick her up from her crib and she’s got her ABC’s and Old McDonald down. It’s so fun (and a little scary) watching her grow. Have something to share? Leave me a comment here and connect with me on Facebook, Twitter, Instagram, Google + and Pinterest! Thanks for hangin’ with me! Amy Cluck-McAlister, whom I met two years ago when she donated some wonderful handmade jewelry to a fundraiser I was organizing, is a creative force to be reckoned with in the Sacramento indie community. She runs Amy is the Party, where she shares party styling ideas, DIY projects and the places and people she loves in Sacramento. She is also the founder of IndieSacramento – an online gathering of local creatives. She also happens to be doing all the behind-the-scenes design work on my new blog platform, which will be launched next week! Today, I’m so pleased and honored to share a little more about her! First, tell us a little about yourself! Hello there, I’m Amy! I am a web designer with a passion for parties, decor, and desserts. Some might say I was born in the wrong era. I believe in home cooked meals – in thank you cards – in baking from scratch. I strive to be the “hostess with the mostess”. I couldn’t agree more with Julia Child when she said “A party without cake is just a meeting” – although I think it’s perfectly fine to substitute cake with cupcakes or pie (or whatever dessert you find fitting). I also believe in creating memories – special moments of time that your friends and family will carry with them, long after the celebration is over. I believe in celebrating everyday with the little bits of joy that living creatively can bring. As a blogger, entrepreneur, and web designer, I have been involved with both the online and local crafting community for several years. A socially awkward socialite, I spend my free time supporting small businesses and events in my hometown of Sacramento, CA. I also enjoy searching for vintage treasures and indulging in the shenanigans of my husband and two cats. Image Credit: Amy Cluck McCallister / DIY Tassel Necklace and Bohemian Bracelet / Click the photo for the full tutorial! How did you get into graphic/web design? I took a commercial art class in high school. We mostly made posters and learned calligraphy but I knew that I wanted to use my artistic skills for advertising or something along those lines. I took a few graphic design and beginning web classes at American River (Community College) while getting my general ed out of the way. By the time I graduated, I knew I was specifically interested in designing for on-screen (computers). The closest degree program that Sac State offered was Graphic Design so I stuck with that for a year until I saw that a new Multimedia program was being added. I quickly changed majors! The Multimedia program sort of focused on making interactive CDs, which isn’t a really a thing nowadays. It’s hard to predict the direction technology will take us! When you get into something like graphic and web design, you have to be flexible and you have to continually educate yourself on new techniques. What about entertaining and DIY’ing? Both my parents and my grandmas on both sides were into DIYing different things. I grew up making handmade Christmas gifts and baking dozens of cookies for the neighbors. I lived for holidays and family get-togethers. I didn’t think about it much, plus I don’t think it was considered cool to be into domestic stuff when I was younger. After graduating college, I started to get back into crafting a bit. Then I started finding all these people online who were into making items that were actually trendy and I felt really inspired. This was about 10 years ago when sites like Craftster and GetCrafty were just starting. I jumped right in and started making and selling jewelry. I gradually started to gravitate towards party planning since it incorporates all of my loves: baking, dessert styling, decorating, DIY, and graphic design. What pushed you to start your blog? Finding other people who were making crafts and selling them really inspired me. It seemed like a lot of those people were starting blogs and I wanted to be a part of it too, not just to show off what I was making but to show off what other people were making as well. Photo Credit: Amy Cluck-McCallister / DIY Hostess Gift Tags / Click the Photo for the full tutorial! I come up with ideas, scribble them on post-it notes, lose the post-it notes, forget some of the ideas, and don’t have anywhere near enough time to follow through with all the ideas that I don’t forget about! Occasionally, I actually get to follow through on something. I’m an impatient crafter but I’m also a perfectionist. Sometimes I forget to enjoy the creating process because I’m so excited to get to the end result. What inspired you to start Indie Sacramento? A couple national craft shows (Bazaar Bizarre and Renegade) popped up that were different from any craft show I had been to before (“not your gramdma’s craft fair” as they would say). The vendors made trendy items that I would actually wear or display in my home. Both shows were located in San Francisco (as well as other cities) but not Sacramento. I had started networking with local crafters and I knew we had enough local talent to put a show like that on here so I started IndieSacramento. I felt like IndieSacramento was a pretty successful event, but it was also A LOT of work and a lot of stress. I decided that an online collective of local crafters was the way to go so I quit holding craft shows and choose to expand the website instead. Of course, now I have other ideas of what I’d like to do with the site but there never seems to be enough time! How do you feel about the creative community in Sacramento? I’m really proud of how our creative community has grown in recent years. It wasn’t so long ago when we were in need of a venue for “alternative” crafters and artists to sell their goods at. Now we’ve got all kinds of events like the Indie Craft Fair and GOOD, just to name a couple. I’m also really impressed with the amount of networking I’ve noticed among talented individuals in different industries – we’ve got bloggers and crafters, boutique owners, restaurateurs, photographers, event planners, etc. all working together to promote each other to put on awesome events together. Photo Credit: Amy Cluck – McCallister / Amy’s DIY Wedding / Click the photo for all the details! Favorite places to get your supplies (craft, party, etc) in town? Wrapped All Up is a really fun warehouse type place that carries every kind of ribbon or wrapping you could want. The Paper Garden is a great place to get inspiration for paper crafting – plus they also carry some fun washi tapes and baker’s twine that you can’t get anywhere else locally. If somebody wanted to start working on DIY projects, where would you tell them to go first? There are so many resources, it’s hard to say! Brit.co is one of my recent favorites because they feature a variety of trendy and easy projects. I would also suggest joining a crafty forum or two. Cut Out + Keep is one of my favorites. You can check out other peoples projects and tutorials, network with people, and upload your own projects. My husband and I just bought our first home (yay!) so I’m sure amy is the party will start featuring more home decorating projects (just like I started featuring more wedding related content before we got married). I think my blog will always branch out to fit my current interests, as long as it’s still related to entertaining and creative living. Click the photo for the full DIY! My plan is for IndieSacramento to include small businesses of all types, not just crafters. It will be kind of a directory for people to shop local and to find unique and fun businesses to support. You can find out more about Amy and all the awesome things she’s doing at Amy is the Party. 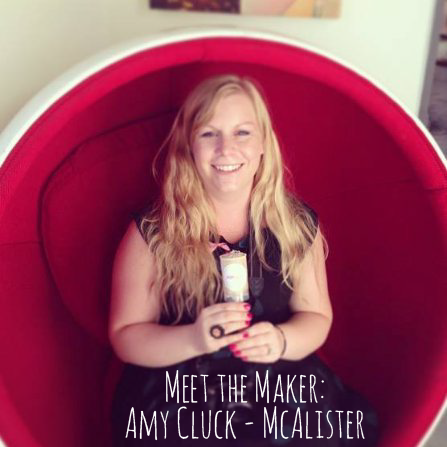 Want to be featured in Meet the Maker or know a special someone who should be featured? Leave a comment here and connect with me on Facebook, Twitter, Instagram, Google + and Pinterest! After I had Cecilia, I got really interested in clean eating and living a clean lifestyle and one of my biggest inspirations was The Gracious Pantry. Tiffany’s recipes were simple, easy to follow, I didn’t have to search endlessly in a health food store for the ingredients and best of all – they were good! I was even able to trick my boyfriend into eating healthy. I learned about cooking from scratch from her website, and it forced me to slow down a little in the kitchen. This is why I’m so happy to feature Tiffany in this week’s Yo Momma Monday! Tiffany, 40, lives in Sonoma County with her son, whom she lovingly calls “Mini Chef” in her Facebook posts and recipes. She became a stay-at-home-mom soon after she found out she was pregnant, as her difficult pregnancy did not allow her to work much. She and her then husband had already planned on raising their son on their own, so that pretty much sealed the deal. “The balancing act is always something I struggle with. The truth is, if you are giving your full attention to work, you will be lacking something in your mothering. And if you give your full attention to mothering, you will be lacking something in your work. So it really is a juggling act. Tiffany is a self-taught cook who says the most valuable lesson she could pass down to a beginning cook is that burning your dinner is not the end of the world. She assures that just because you burned it one time doesn’t mean you’ll burn it again. “You can’t give up because of one mistake,” she says. Now that she is comfortable in the kitchen, she heavily involves her son in cooking, and says that she never questioned whether or not he would cook. “And I think that is the very reason he loves doing it. It’s not a matter of teaching your kids something they already like, it’s a matter of teaching them to like something they absolutely must do to survive. Showing them that cooking can be fun. After all, the memories made in the kitchen just can’t be made anywhere else. It’s really just a process of getting your kids involved with the everyday functioning of your life. They are definitely their own people, but when you function as a family unit, everyone needs to contribute in some way. Making time in the kitchen a regular thing is important. And I have found that most kids naturally gravitate towards cooking. They love learning about food and how to prepare it. It’s usually a naturally fun thing for them to do. You just have to present it the right way, and set things up so it’s not intimidating for them. Tiffany realizes the importance of teaching kids how to cook, and she says our society has become incredibly removed from the very thing that sustains us. “I’m finding that many grown adults these days were raised on boxed and packaged food from a freezer or on food that came through a drive-thru window. I know kids today who get three meals a day from a fast food restaurant. It’s a sad state of affairs. But that doesn’t mean we can’t fix it. I think that teaching kids about food is the most important gift we can give them. Because it not only empowers them to feed themselves and their own families some day, but it also gives them power over their own health. Anybody who has health problems can tell you how important that is. Particularly when the life expectancy of our children is now getting shorter instead of longer. All you have to do is step back and take a look at the bigger picture where the health of our country is concerned to see why teaching our kids about real food is so critical. Tiffany talks a lot in her blog about how she dealt with body image problems through much of her life, something she learned from her mother. She says that the hardest thing is to not pass those problems down to her own child. “It’s a constant struggle and sometime I fail miserably. When you have been raised to view your body a certain way, it’s a very difficult thing to change. Sometimes it feels impossible. I don’t think I’ll ever really get past it completely, but I am learning to respect my body for the things it does every day and appreciate it for what it can do. For Tiffany, the biggest change she noticed after adapting clean eating to her lifestyle was how clear her skin was. Before The Gracious Pantry, she had several other blogs, so she know she loved the blogging process. With this site, she wanted to track her own progress and share recipes she created. Since starting The Gracious Pantry, Tiffany has also wrote a cookbook, which she says was a long and difficult process, but one that is filled with creativity and passion, one she equates with giving birth. She posts every other day without fail, because she wants to show people the endless variety of dishes they can make with real food. She wants people to learn that real food is delicious and to not be afraid of the kitchen. She also hopes people will learn that their health really will improve when they focus on real food and that cooking food does not have to take a lot of time, or money. 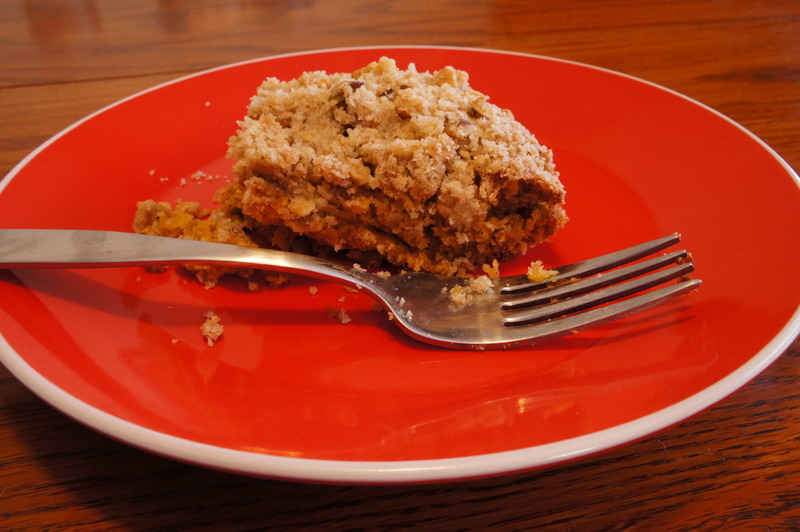 Her favorite recipe on her blog is the plum torte, and while she never posts a recipe that she does not like, she has had some fails – like a low carb brownie recipe that she is still working on. As for her favorite blogs and magazines, she likes iBlog Magazine and Will Write for Food. Now that Tiffany is in culinary school, she would like to host a cooking show in the future and to continue writing more books. “I’d also love to start teaching healthy cooking classes to kids. I’ve taught one or two and they are just so much fun,” she says. Her biggest advice for people who are beginning a clean eating lifestyle is simple: take it slow. You can find out more about Tiffany and her recipes by visiting The Gracious Pantry. 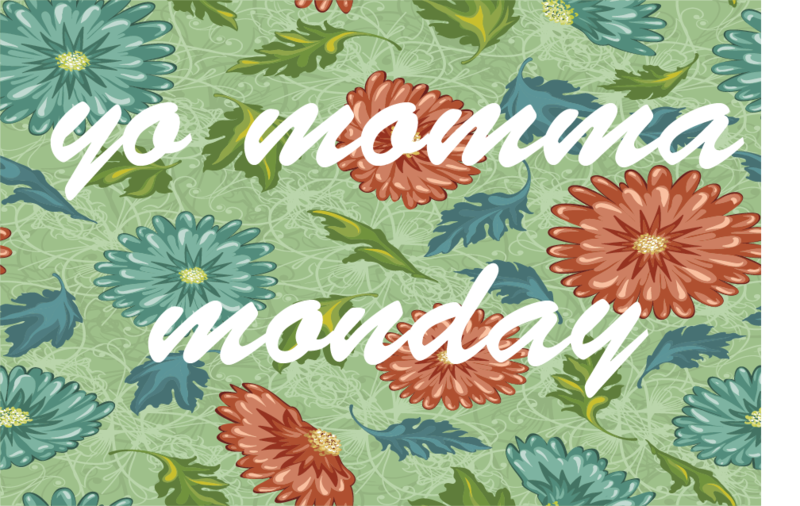 And for all you awesome moms out there, I still have two spaces left for a Yo Momma Monday feature so drop me a comment and connect with me on Facebook, Twitter, Instagram, Google + and Pinterest! My Creative Business Journey + Giveaway Winner! I just looked, and the end of March was the last time I wrote about my own creative business journey. That’s almost six months! 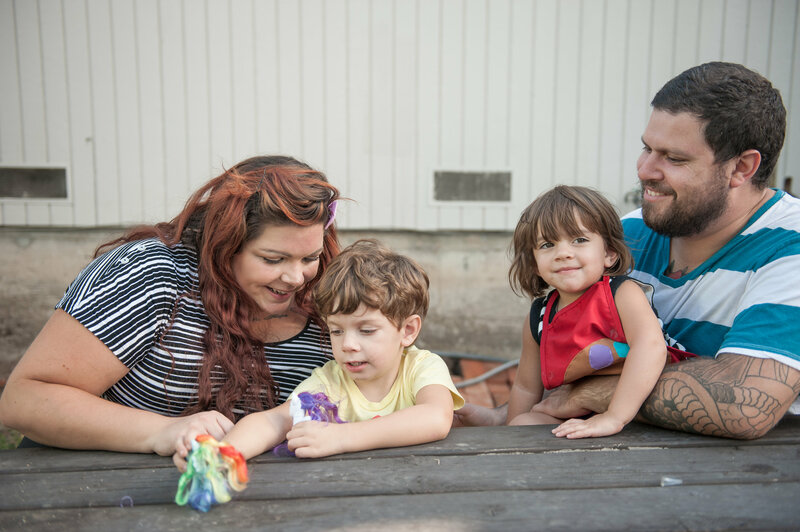 With the move, the discovery of a new baby and a toddler, it has been difficult to continually stay focused on making an income from home, as many of you know. So, I took some time out and shifted my priorities a little. It wasn’t until the beginning of August that I felt a kick in the pants and decided it was time to give it another go! The most exciting adventure so far has been turning my blog into a self-hosted site. I tried it before but it didn’t work, so I turned to Amy Cluck-McCallister from Amy is the Party and IndieSacramento, and one of my favorite people in Sacramento, to help with my site and logo. She worked her magic, and we’re in the home stretch! When I started the blog in 2012, I never saw it as a way to make an income. It was just a place for me to write. But, as I have seen some really positive blogger/business relationships and I have seen how mutually beneficial it can be to both, I decided to give it a try. I’ve seen a preview of what it’s going to look like, and let me just say that I’m super excited to share it with you! 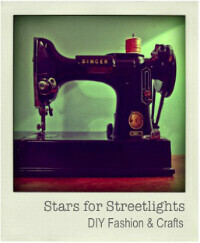 In addition to blogging, I have decided to give my vintage/handmade/print shop another chance. I changed the name to collected + made and have reopened my Etsy shop under that name! I also opened up a shop on Society 6 and I’m selling on eBay too! I have even thought about vending at a local craft fair in November. I’m excited to get back in the swing of things and to see if I can truly make a creative business out of my passions! 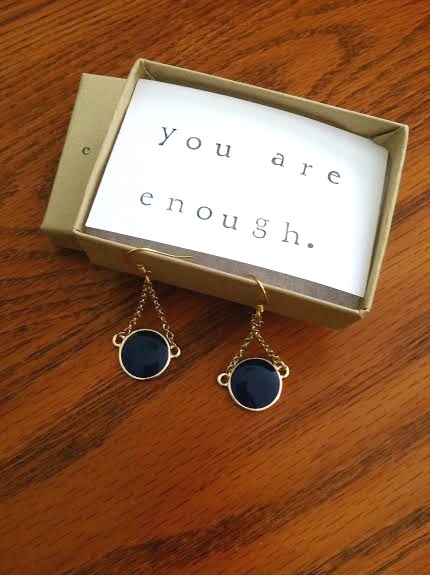 And as promised, the giveaway winner for the beautiful gratitude earrings from Compliment is: Jessica Eapen! Congratulations!!! The winner was picked randomly from my blog, Twitter, Facebook and Instagram! Jessica, please contact me at mamabecrafty@gmail.com so I can get your beautiful earrings to you! 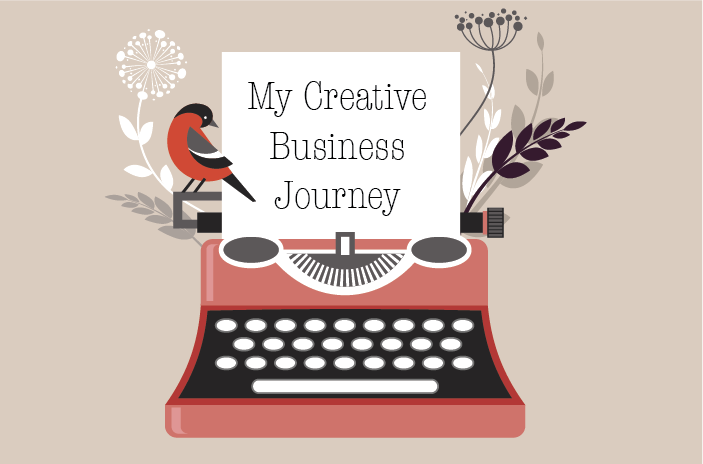 How is your creative business journey going? Share in the comments and connect with me on Facebook, Twitter, Instagram, Google + and Pinterest! A while ago, a photographer friend of mine posted some photos she took of two adorable and stylish kids for her friend’s website. Through some serious social media stalking, I met Tiffany Reese, who runs Lookie Boo – a website dedicated to styling for littles, parties included. Tiffany, 28, resides Roseville, CA and has lived in Northern California her entire life, although she moved around a lot growing up. She is the mama to those two adorable kids – Jude (4), Ruby (3) and is expecting baby #3 in February. A stay-at-home mom, Tiffany was planning on going back to work full-time when Jude was two. However, just before his second birthday, Jude was diagnosed with Sensory Processing Disorder and was officially diagnosed with Autism last year. After Ruby was born, Tiffany needed a creative outlet. For Tiffany, the feeling of community is her favorite thing about the blogging world. “I have lots of blogging friends I’ve met over the years now and I speak to some of them on a daily basis now. I’d say the aspect I dislike is the ego of some people you can run into, but that can exist anywhere I suppose. Since her kids are anti-naps, Tiffany gets mos of her work done on her phone while she’s on the go, and when they are in preschool or after they go to bed. 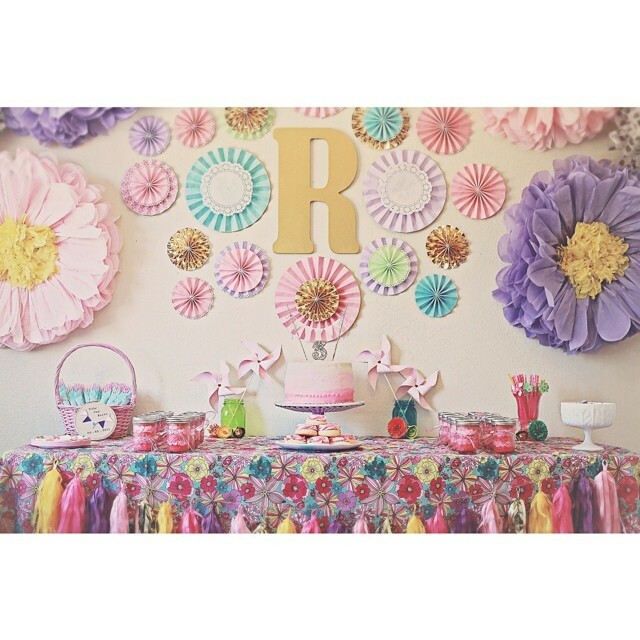 When Jude’s first birthday was approaching, Tiffany wanted an original theme, so she started styling her own parties. And with a name like Jude, a Beatles Themed First Birthday was the perfect fit. And totally awesome. Through her blog and other outlets, Tiffany has been very vocal about her experience with Autism. “Honestly, I just want them to know that children with Autism come in all different “packages”. I can’t tell you how many times people have said, “He doesn’t seem Autistic”. Tiffany says that her family’s sense of humor is what makes them unique. “Usually I’d say drink straight vodka once a month but you know, I’m pregnant so now I just eat cookies. My husband Michael is a chef and is at his restaurant A LOT. While she would like to find some more affordable small businesses to support locally, her favorite stores in Roseville are H&M, BabyGap, Target, Old Navy and thrift stores. As for her parties, she partners with other Etsy shops and loves Shop Sweet Lulu, but still does a lot of DIY – especially for clients. Tiffany opened her own store last year, but it proved to be too much for her family at the time. Meanwhile, she loves featuring kids on her blog, and says all the parents need to do is use #lookieboo on Instagram, or e-mail her. Her advice for new moms is to be gentle with yourself. And what does she hope her kids will learn from her? Visit Tiffany’s website to find out more about her family and Lookie Boo! Know an awesome mom who would be perfect for this? Leave a comment here and connect with me on Facebook, Twitter, Instagram, Google + and Pinterest! I met Melissa Camilleri – a fellow Sacramento native – through Instagram (I’m telling you, I love that app) when I was organizing a fundraiser. I asked her to vend at the event but she couldn’t attend, so she donated a beautiful pair of earrings. Though the fundraiser didn’t work out, we kept in contact and since she her business and philanthropic spirit are so inspiring, I wanted to share her story with you. 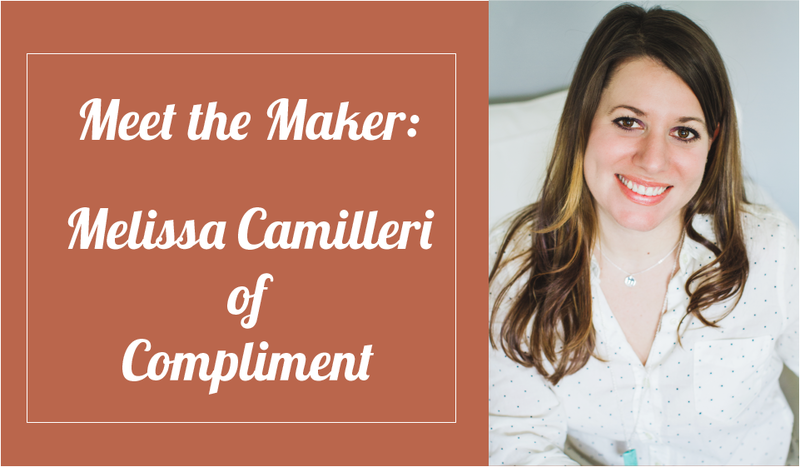 Melissa started Compliment – her stationery and jewelry line that is just as precious as the words that are written on each and every package – when she was a high school English and AVID teacher. She had been making jewelry since she was in elementary school and when one of her students asked her to make ring to match her Homecoming dress, Melissa realized that people were digging her stuff. Compliment was officially founded over the Thanksgiving weekend of 2011, and since then she was taken the leap into full small business ownership. I love your story and how you got started with Compliment. Do you feel like your writing plays a big part in your business? How would you describe Sacramento in terms of a small business owner? Do you feel it’s a good city for your business to thrive in? Sacramento is on the verge of so many cool things. I think there are a lot of young people here who want to see their hometown thrive and support local growth. Old neighborhoods are being revitalized and there is a definite sense of community here among artisans and people who believe in shopping local to support their community. I feel like Compliment is definitely able to thrive here. I have a lot of local customers who stop by my studio and that I’ve met while having a booth at an event. There’s a nice momentum. Can you tell me more about the Scholarship Fund? When, how and why did you start it? How do you hope it will better the community? YES! This is where my heart is. I started Compliment when I was still teaching full time as a high school English and AVID teacher. I thought it would be a fun, artistic way to help some of my most needy students out who had so much potential but not the means to go to college. I believe education is the only way to break the generational cycles of poverty, abuse and addiction. So whatever I can do to help facilitate that for young people with a dream, but with little other support? My scholarship has, for the last two years, been donations out of my own pocket. We’ve been able to give over $1000, which is an amazing blessing for me to even say. As my company grows, the scholarship grows. This October, we are having our first ever benefit dinner and dance at Silverado Design Center and I get giddy just thinking about how much more we will be able to give because of it! What is the Soul Care Series about? Because my natural inclination is to teach, I wanted my blog to be of service to my readers. I noticed that there were some pretty amazing women around me doing some pretty amazing things in the world, living whole-hearted lives, and learning how to take care of themselves. I started the Soul Care Series because I wanted to talk to women I admire and by whom I’m inspired. And I like to share! Thus, the Soul Care Series was born! How do you feel about the philanthropy in Sacramento? Do you feel it could use some more? What are some of your favorite Organizations? I think there is some amazing philanthropy happening in Sacramento, but YES there could definitely be more. Having worked in the schools so long, I know that so many kids go without. So many teachers are spending out of their own pockets to help get kids through their formative years. So I’m always excited about those organizations–ones that help kids rise up and make good choices with their lives and learn to be civically engaged. Why do you think it’s good to donate and be a part of the giving? A close friend just reminded me of this Roberto Clemente quote today: “ If you have an opportunity to make things better and you don’t, then you are wasting your time on earth. I agree with that sentiment. I feel like I am blessed in many ways. What good is it if I keep those blessings to myself? Joy multiplies when it is shared. I was raised that way– if you can be of service, do that. It’s the whole basis of my company. How do you hope to empower young women with an entrepreneurial spirit? I employ young women to learn the behind-the-scenes of running a small business. Like I said before, it’s in my nature to teach, so I see my business as an extension of that even though it’s out of the classroom now. What do you enjoy doing on your downtime? People are often surprised that even though I’m social and I’m comfortable talking in front of people, I’m very introverted, so I like to be quiet during my downtime! I like to read, go for walks, meditate, try out new restaurants with my friends. Hang out with my family. Float in the pool when the weather allows it. Oh gosh… During these past two years, if I’ve learned anything it is that even if I make plans, often God has other ideas of where I’m headed. Compliment was never “planned,” and come to think of it, anything that I’ve actually planned out, has just been a stepping stone, not the be-all, end-all. So I guess my plans are to stay open to this wonderful, exciting, abundant journey, wherever it may lead. Favorite places you frequent in Sacramento? Melissa is so awesome that she agreed to do a Giveaway for the pair of gratitude earrings (valued at $32) that she originally donated to the fundraiser! In order to enter, leave a compliment for Melissa on the post in the comment section or through any of my social media sites! You can find out more about Melissa and Compliment by visiting the website and you can click here to donate to her scholarship foundation. Know someone who would be a perfect fit for this series? Leave a comment and connect with me on Facebook, Twitter, Instagram, Google + and Pinterest!